General TV Channel / Red ATB (Asociación Teledifusora Boliviana) is a television channel in Bolivia, belonging to Brisa Group, SA National Broadcasting System Boliviana SA and Akaishi Investments, who are responsible for the administration and maintenance of the channel. Its origins date back to 20 October 1984 in La Paz, when Paceña Channel 9 Television began broadcasting. 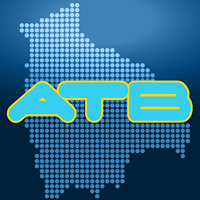 In the late 1980s the name was changed to ATB and the channel is one of the largest networks in the country.